The three sections of Bei Dao's moving book of poems - 'Berlin', 'Oslo' and 'Stockholm' - are poignant reminders of the restless and rootless life of the exile. All the poems in this bilingual collection were written after Tiananmen Square (4 June 1989), when Bei Dao was away from his Peking home, to which he has so far been unable to return. His poems refer back to this watershed both overtly and in dense images of loss and betrayal. 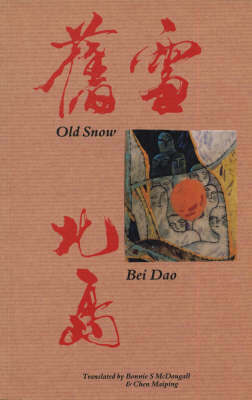 "Old Snow" confirms Bei Dao's standing as China's leading poet.